What is WD-40® and what does WD-40® stand for? It’s the name the chemist who developed the product back in 1953 used, straight from his lab book. The chemist was Norm Larsen, working in a small lab in San Diego, California. He attempted to create a formula to prevent metal corrosion on rockets for the Aerospace industry. Norm’s persistence paid off when he perfected the formula on his 40th try. WD-40 made its first appearance on the shelves in the USA in 1958. By 1960, an average of 45 cases were sold per day from the trunks of vehicles. By 1993, one million were being sold each week. 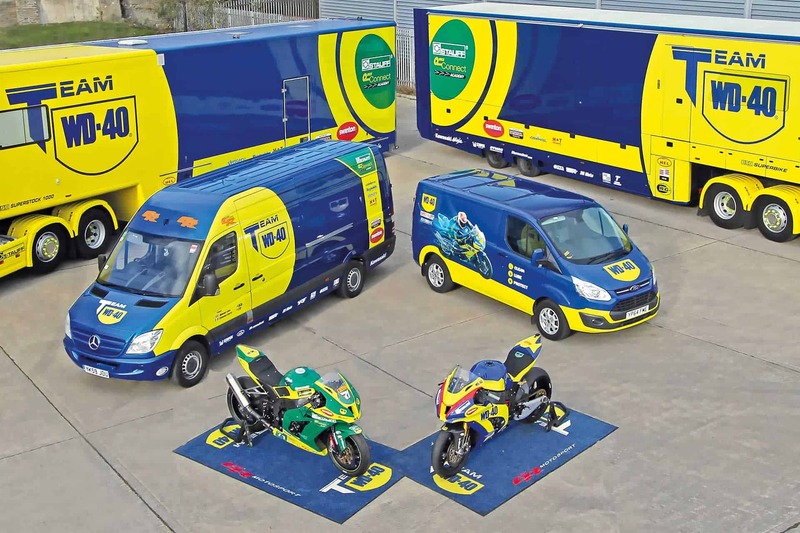 And as a result, today, WD-40 is available in 187 countries worldwide! What does WD-40 Multi-Use-Product do? LUBRICATES: You can apply the product’s lubricating ingredients with a wide spray, and adhere to all moving parts. PENETRATES: WD-40 Multi-Use Product loosens rust-to-metal bonds and frees stuck, frozen or rusted metal parts. PROTECTS: The product protects metal surfaces with rust-resistant ingredients to shield against moisture and other corrosive elements. REMOVES: WD-40 Multi-Use Product gets under dirt, grime and grease. Use it to remove gunk from tools, equipment and vehicles. WD-40 Multi-Use Product in liquid form (e.g., gallon) also dissolves adhesives, allowing easy removal of excess bonding material. DISPLACES MOISTURE: Because it displaces moisture, WD-40 Multi-Use Product quickly dries out electrical systems to eliminate moisture-induced short circuits. So, what does WD-40 Multi-Use-Product contain? WD-40 does not contain fish oil. It does not contain any carcinogens, teratogens or mutagens. It does not contain any heavy metals. WD-40 doesn’t contain any substances covered by SVHC (Substances of Very High Concern). It also doesn’t contain any silicone and WD-40 is acid free. It does however contain CO2 propellant (instead of Liquid Petroleum Gas or LPG) therefore you get more product in each can. What is the shelf life for WD-40 Multi-Use-Products? 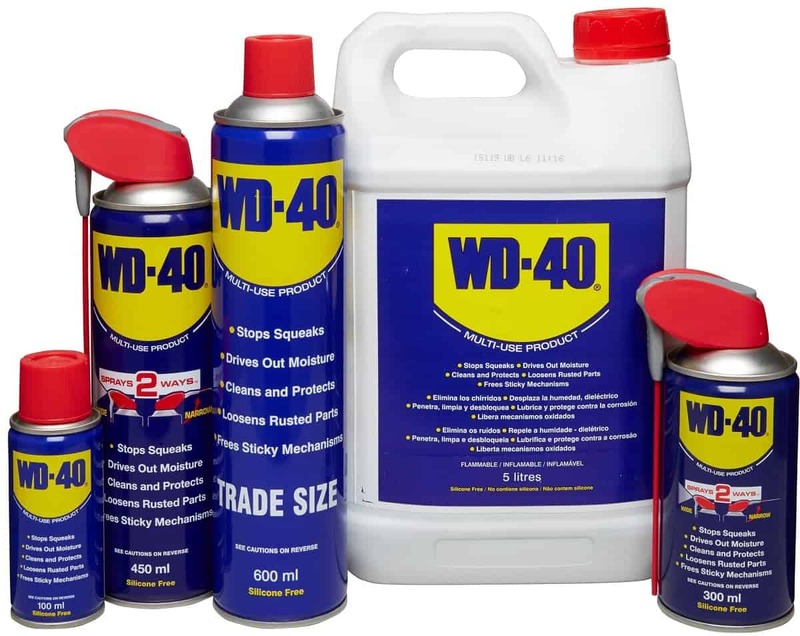 We manufacture WD-40® to a high degree of specifications. Therefore the product should continue to perform as expected for almost an indefinite period of time. However, actual performance is affected by the longevity of mechanical items such as the valve assembly on aerosol cans. As such, the shelf life is considered to be 5 years from the date of production; however, product will often dispense and perform as expected for considerably longer. 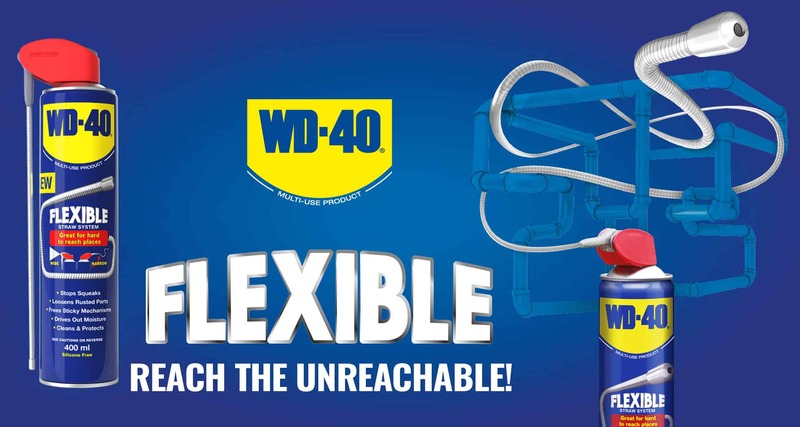 You should store WD-40® between 4 and 54 degrees centigrade, and always shake before use.